Instead of these run-of-the-mill ideas, how about preparing some heart-shaped pizzas or strawberry cupcakes to enjoy with your significant other? The good news is you don’t necessarily have to slave for hours in the kitchen to create something which looks and tastes great. 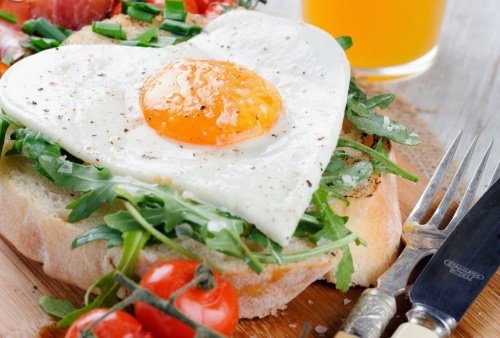 Lucky for you, I hvave compiled a list of easy recipes to surprise your loved one this Valentine’s Day (or any day for that matter). To nail this one, you will need the help of a heart-shaped ring. Then, all you have to do is cook the egg inside the ring and serve with lightly toasted bread and with a sprinkle of arugula. It’d also be good to add cherry tomatoes on the side as it will balance out the bitterness of the arugula. 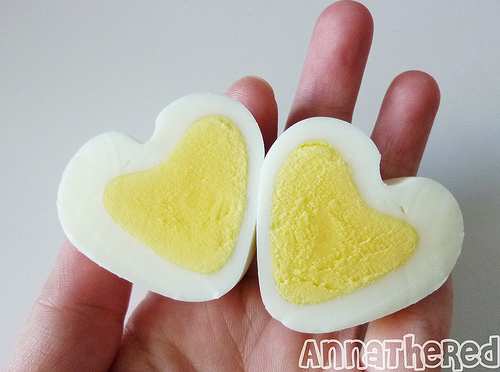 The end result is stunning but you should be happy to know it is really easy to make these heart-shaped eggs. You will only need hardboiled eggs, a chopstick (or a pencil), rubber bands, and a milk carton (or similar). Once the eggs are peeled, you can follow the instructions found on the link below. 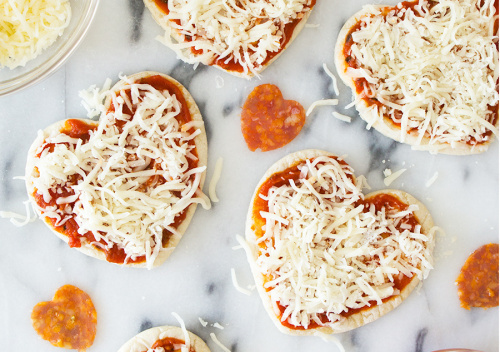 Everyone loves pizza and those who worry about portion control will adore these mini pizzas. Buy (or make) your favorite pizza dough. Additionally, you will need sauce, shredded mozzarella, pepperoni (or mushroom if you or your loved one is vegetarian), and some flour to dust the work surface. Cookie cutters will help with the heart shape. You can even cut the pepperoni with the cookie cutter. 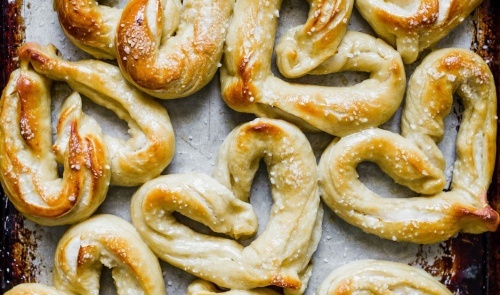 These pretzels not only look great but also taste amazing! They are a great choice when you tend to feel peckish and want to munch on something while watching a romantic movie together. You will need yeast, water, sugar, oil, salt, flour, baking soda, and egg. Once the dough is ready to be shaped into hearts, proceed by following this tutorial. 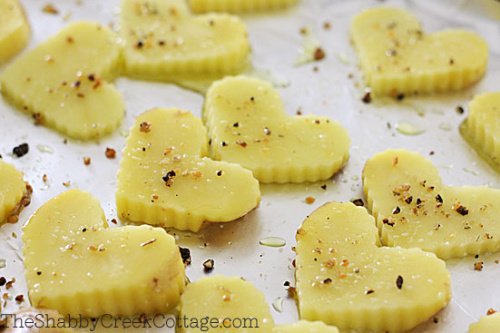 Slice the potatoes and use a cookie cutter to cut them into hearts. Soak them in ice water for about an hour. This ensures they’ll be crisp! Drain, pat them with a towel and place them on a baking sheet. Lightly coat with oil, sprinkle salt, and black pepper. Cook until golden (40-45 minutes, depending on your oven) and don’t forget to flip them half way through! 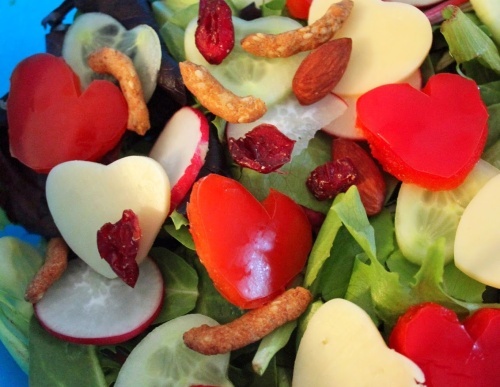 This super simple recipe includes healthy ingredients and (almost) everything is heart-shaped. Adorable, right? Make sure to buy some cucumbers, red bell peppers, radishes, and plum tomatoes. You will also need some mozzarella, trail mix, and your favorite dressing. 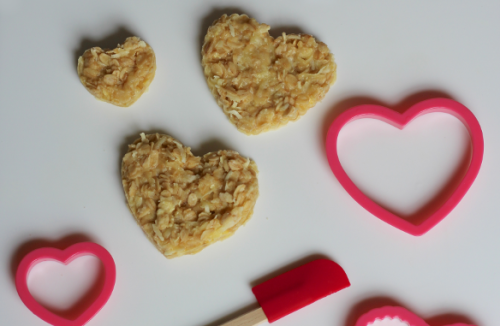 Put that heart-shaped cookie cutter to good use and have fun! Pancake lovers rejoice and make this delicious and good-looking recipe! 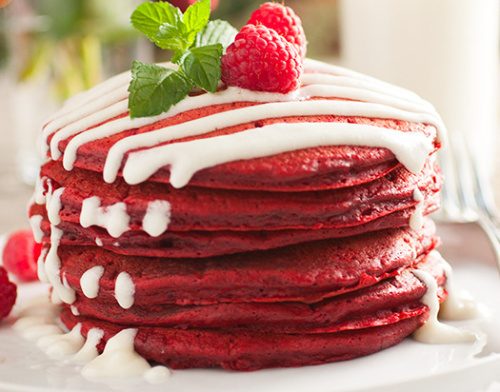 You will need red food coloring, as well as some raspberries and mint for garnish. 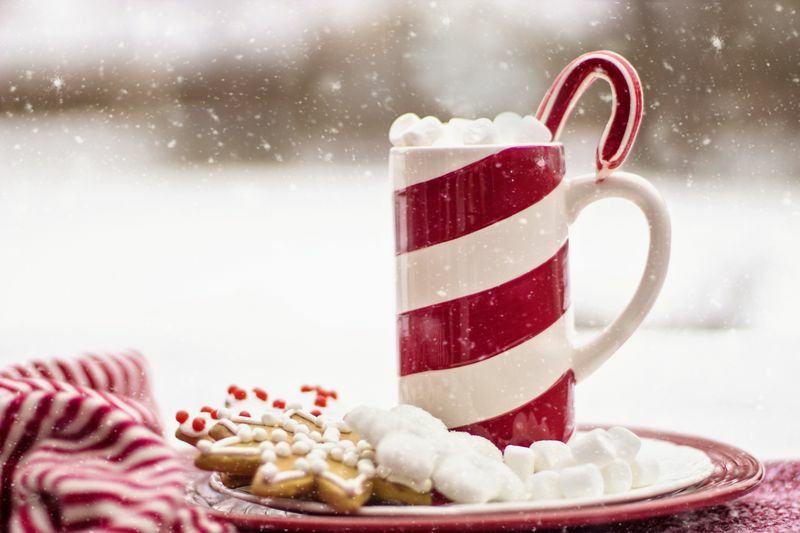 The glaze is made from cream cheese and powdered sugar. 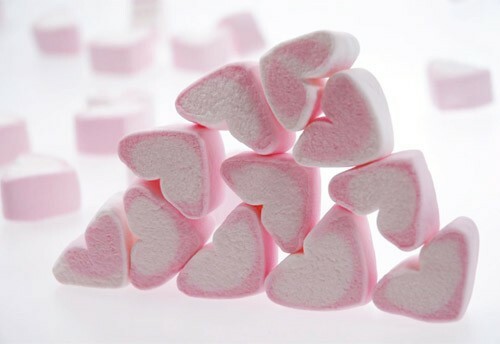 Who doesn’t love marshmallows? 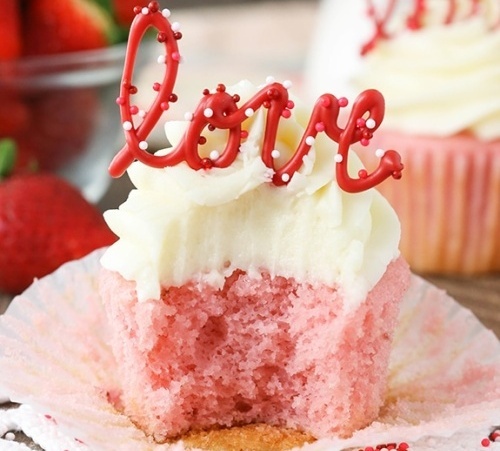 This Valentine’s Day, why not make a homemade batch to surprise your loved one? You’ll need two apples, sugar, one egg while, and agar-agar. If you prefer them colored, add some red (or pink) food coloring. These cookies are not only super easy to make but they are also healthy. You will need sugar, butter, milk, coconut cream instant pudding mix, quick cooking oats, coconut flakes, and heart-shaped cookie cutters. Preparing the dough takes 2 minutes and the comes the waiting time. Try to restrain yourself and allow them to cool completely before you dig in! Want to learn more about baking tasty and awesome-looking treats? You can browse and book from one of our many tantalizing pastry and baking vacations! Cris Puscas is a contributing writer at BookCulinaryVacations.com, the best place to book a culinary vacation. She is a hopeless romantic, equally passionate about discovering new places to explore and new foods to try. 30 Practical Tips to Make You a Better Cook!